3CX VoIP Case Study By Our IT Department. 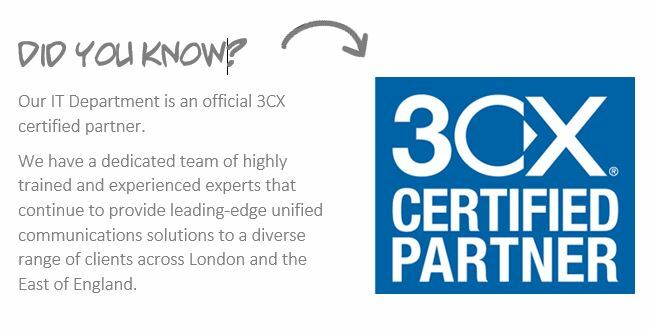 A 3CX Certified Partner. Why change your IT Company? Did We Exceed Your Expectations? 3CX Case Study. Unified Communications on-premise. The college needed to upgrade from their traditional telephony solution to enable their staff to have better lines of communication. They wanted a flexible and robust telephony solution that would allow them to access the system from both handsets and smartphones. The existing telephony solution had become increasingly slow and unreliable, which was affecting the efficiency of the receptionist team. Their system also lacked the intelligent hardware or software features that are associated with a modern telephony solution. The college also wanted to embrace other forms of communication, including an internal messaging solution for improving efficiency of communication between departments. Our IT Department proposed an on premise 3CX Unified Communications system that would be the best commercial and functional solution for the college. The college’s existing virtual infrastructure will be used to implement a new ‘Virtual PBX System’ on premise. SIP Trunking will replace the old ISDN services – reducing both the call and line costs, in addition to greatly improving the reliability of service. We will implement a fully featured ‘instant chat’ messaging service that is fully integrated with the 3CX PBX system. We will also introduce a native VoIP client for Android and iOS that will allow the heads of department to take their phone extension with them everywhere and answer internal calls. The consolidation of the existing ISDN lines and antiquated PBX solution to a unified 3CX solution that utilises SIP trunking has been a commercial and financial success for the college. Telephony costs have been greatly reduced and the communication between departments is much more efficient throughout the entire campus. The staff are less frustrated and the IT team is now in full control of the colleges telephony system. 3CX VoIP CASE STUDY OVERVIEW. Our client is one of the UK’s largest agricultural colleges that offer specialist learning facilities for students seeking to work in the world of agriculture. The college is home to over 2000 students and 300+ staff that work from several buildings located across a 400-acre site. Surrounded by large open playing fields and landscape areas, the campus facilities include the main reception area, a dedicated science building, the animal centre, a motor vehicle workshop and a centre for land-based enterprise and technology. The college also benefits from an extensive virtual working environment which can also be accessed off-campus. EXISTING ON PREMISE TELEPHONY WAS SHOWING ITS AGE. For the past 8 years, the college had been using an on premise PBX telephony solution with ageing ISDN lines. Approximately 153 handsets were being used throughout the campus. Most of the handsets were being used by the receptionist staff and a small number of single handsets were located in other departments. These were mainly used for internal communications. The college needed to upgrade from their traditional telephony solution to enable the college’s staff to have better lines of communication. They wanted staff to have a flexible and robust solution that would allow them to access the system from both handsets and smartphones. THE EXISTING PBX SYSTEM HAS SERVED THE COLLEGE WELL. However, in recent times it has become increasingly slow and unreliable which was affecting the efficiency of the receptionist team. Staff were becoming increasingly frustrated with the growing number of calls that were dropping mid-conversation. This slowly went from an intermittent problem to a regular day-to-day occurrence. The existing PBX telephony solution was lacking any intelligent hardware or software features that could be used for redirecting calls, setting up call groups or many other useful functions that are associated with a modern telephony solution. The college’s existing IT department was also growing increasingly frustrated with a lack of functionality that was available from the existing PBX solution. Basic administrative tasks such as setting up new staff extensions or call routing was complex and required specialist assistance from a third party company that would make changes to the PBX system remotely. A DESKBOUND SOLUTION WASN’T CUTTING IT. The college was also keen to move away from a system that was completely desk-bound. Due to the nature of their courses and campus facilities, many department heads were constantly on the move and usually outdoors away from their desktop. Because of this, they wanted to introduce a system that could also be integrated with the staff mobile devices. THE COLLEGE HAD OTHER REQUIREMENTS. In addition to a new telephony solution, the college wanted to embrace other forms of digital communication. the head of IT was interested in setting up an internal messaging solution that would improve the efficiency of communication between departments – a solution they had effectively introduced in a former position. The college started to investigate a Skype for Business hosted solution which would leverage the existing virtual environment. However, it was quickly decided that from a commercial and functional perspective, Skype for Business was not going to meet the college’s requirements. After considering Skype for Business, the college wasn’t sure which alternative solution would be better for their requirements. Therefore, they decided that it was in their best interests to seek the assistance of an independent VoIP expert. The college found Our IT Department online after searching for a VoIP expert near their location that had experience setting up PBX solutions for education institutions. In addition, they were also seeking to speak with a specialist that would offer impartial advice with no bias towards a particular vendor. A member of our Project Management team met with the head of IT and selected heads of department to discuss their communications challenges and requirements in detail. After listening to everyone’s concerns and requirements, Our IT Department proposed an on premise 3CX Unified Communications system that would be the best commercial and functional solution for the college. 5 REASONS WHY WE PROPOSED 3CX. In comparison to other solutions, 3CX has a lower Capex and Opex cost which would have a positive financial impact for the college. The college’s existing virtual infrastructure can be used to implement a new ‘Virtual PBX System’ on premise. Leveraging the college’s existing leased line connection, Our IT Department will provision new ‘SIP Trunking’* to replace the old ISDN services. This will reduce both the call and line costs, in addition to greatly improving the reliability of service. As a Unified Communications solution, 3CX incorporates a fully featured ‘instant chat’ messaging service that is fully integrated with the PBX system. 3CX includes a native VoIP client for Android and iOS. This will allow the heads of department to take their phone extension with them everywhere and answer or forward internal calls. After carefully reviewing several hosted and on premise solutions, the college decided that 3CX was the right fit for their requirements, and that Our IT Department was to be the preferred services provider. *WHAT IS SIP TRUNKING AND WHAT ARE THE BENEFITS? Traditional analogue and ISDN connections are being phased out in favour of SIP because SIP trunking offers a much more efficient, cost-effective and reliable way of delivering business telephony. Lower monthly Line and DID Rental – The monthly costs to have multiple lines installed at your office drops significantly. Lower call charges – Competition between providers has reduced call charges. Eliminate VoIP Gateways – SIP trunks will eliminate the need to buy and manage additional VoIP Gateways. All phone calls come in via IP which often means better call quality because no extra conversion is required. Enjoy a flexible PBX solution – With SIP trunking, it’s easy to add channels to your telephony system to cope with increased call volumes. Having additional lines installed and then having to upgrade your old PBX to handle more lines will be a thing of the past! Use the correct number of channels – With SIP trunks, you can choose the exact number of channels that you require. With traditional ISDN/T1 connectivity, you often have to choose to add channels in either 15 or 30 increments which means that you end up with expensive extra capacity. Our IT Department successfully completed the 3CX upgrade project on-time and within budget in 7 working days. Complete a full audit of the college’s existing system configuration. Create and present the project scope and deliverables to the IT Manager and heads of department. 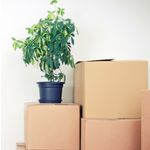 Agree to a migration cut-off date to prevent excessive downtime for the client. Implement a virtual instance of 3CX on the college’s existing infrastructure for testing purposes. Reconfigure the VLANs to ensure the infrastructure is ready for the phased migration. Pre-configure the 3CX call routing and staff user profiles. Setup and configure a new digital receptionist. Complete testing of 3CX systems and SIP trunking prior to go live date. Complete the 3CX migration project over a weekend and provide onsite support to the IT team on the go live date to ensure all users are happy with the new system. Install and configure the 3CX mobile app for all heads of department that have a requirement for PBX on the go. Follow-up training provided to all staff by our Project Management team. Ongoing support for the college’s 3CX solution after it goes live. *The latest range of Yealink desktop handsets have been deployed as part of the solution which staff have reported as easy to use. Thanks to the implementation of 3CX on premise, the college has achieved all its desired improvements and is now enjoying the many benefits of a fully featured Unified Communications solution which can easily accommodate organisational change. Thanks to the implementation of SIP trunking connectivity, the staff are no longer experiencing intermittent connectivity problems and calls are no longer dropping mid-conversation. Every member of staff has access to the 3CX Windows Client. This client allows them to make and receive calls on their computer and manage desk phone and mobile calls from their desktop. They can also manage call recording, voicemail settings as well as update their availability status. The internal IT team now has full control over day-to-day administration of the college’s telephony systems. Basic tasks such as creating new staff extensions, creating call groups and applying call routing is achieved through a user friendly 3CX dashboard. Our IT Department provides ongoing support to the IT team when 3rd line/technical support is required. The college has moved away from a system that was completely desk bound. Instead, the 3CX system is fully integrated with the mobile devices. All heads of department have full access to the college’s telephony system using a 3CX app that is installed on their smartphones. Communication efficiency between departments has been greatly improved thanks to the implementation of the 3CX Instant Chat messaging service. The staff are also using this app for video messaging and some of the teachers are even using this feature to connect with their students when they are working away from the college campus. Telephony costs have been greatly reduced and the communication between departments is much more efficient throughout the entire campus. The staff are less frustrated and the IT team is now in full control of our telephony system. There has literally been no downside to moving to a 3CX Unified Communications solution – we should have done it years ago! WE’LL IMPROVE YOUR TELEPHONY SYSTEMS AND REDUCE YOUR COST OF OWNERSHIP WITH ADVANCED UNIFIED COMMUNICATION SOLUTIONS. Thanks for reading our 3CX Case Study. We’re an award-winning IT services organisation with over 20 years’ experience, providing a comprehensive range of leading-edge Unified Communications solutions to organisations across London and the East of England. Sign up for our monthly technology newsletter. AWARD WINNING IT SUPPORT SERVICES FOR LONDON AND THE EAST OF ENGLAND. Why Change IT Support Companies? WHY NOT SIGN UP FOR OUR MONTHLY NEWSLETTER? Sign up for email updates from Our IT Department and you'll receive a regular monthly newsletter containing fresh content that's published on our blog and occasional reminders when we want to shout about something really fantastic!